On this day, February 7th, two hundred years ago, one of Britain’s great authors was born. But Dickens became more than Britain’s celebrated author – he became an international success and has remained so to this very day. In fact, the recession and period of wealth vs. poverty that he lived in, is much the same today. We wrestle with many similar issues and debate whether or not it is the responsibility of the fortunate to care for the unfortunate. We see Scrooge in the Wall Street heavies who absconded with much of the money still unaccounted for. We see those with illnesses who have trouble getting medical care – even with insurance that they are forced to purchase. We witness great cities in decline and facing bankruptcy. Don’t you wish he was still around to lift the robe of the future spirit and identify the solution as he did in A Christmas Carol, or can we simply say that ignorance and want in any nation and any period breed discontent and lawlessness? Of course, Dickens didn’t say anything simply. His paragraph long sentences used to make my vision blur when forced to read works of his in school. Although I loved reading and still do, I often found a dictionary necessary when opening the cover of one of his treasures. The beauty of that, is a vocabulary rich with words like ‘piscatory’. 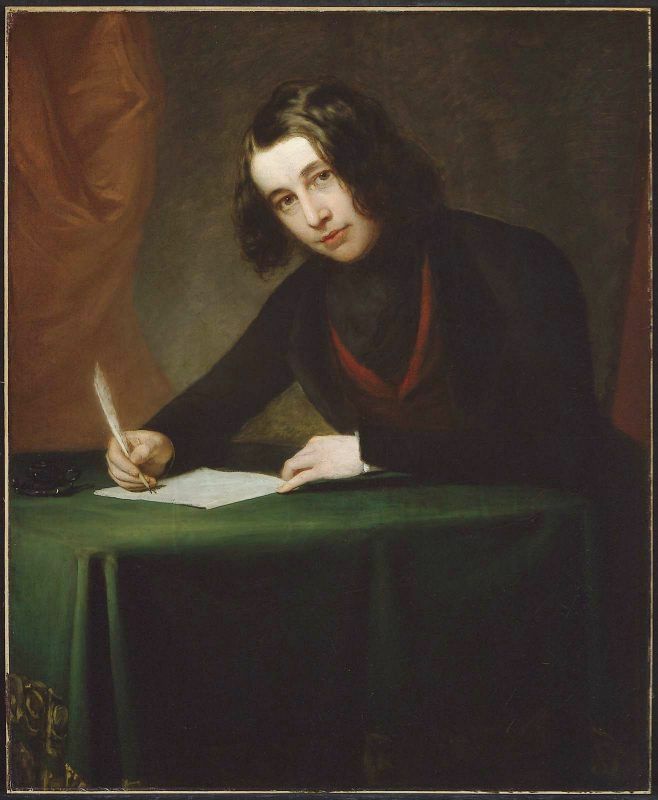 It’s difficult to choose a ‘best’ or ‘favorite’ of the works of Charles Dickens. He is reported to have considered The Pickwick Papers his favorite, although many others credit Great Expectations as the best. How do you choose when the options include not only those and the previously mentioned A Christmas Carol, but David Copperfield, Bleak House, Oliver Twist, Nicholas Nickleby and A Tale of Two Cities? Americans probably appreciate him most around Christmas. We love the timeless tale of his fanciful ghosts of the past, present and future, mixed with redemption and served with a lovely plum pudding and a fat goose. We decorate with tiny villages reminiscent of those he describes in A Christmas Carol around our Christmas trees and fireplaces. And we all want such a holiday full of dancing and merriment and foods most of us never eat. I personally have had a plum pudding, but never, ever, have I eaten a goose. While many authors don’t receive international acclaim until they are deceased, Charles Dickens was loved around the world within his lifetime. He was widely read in America, though I believe our copyright laws did not give him any due royalties at that time. He died at the age of 58 on June 9, 1870. “We forge the chains we wear in life.” It is so very true isn’t it? He certainly had a way with words Dianna. Love him. I certainly hope his birthdays were Happy! He deserved them! I’m so glad you are a fan of his work too. I love your comments. A great post, he certainly was a remarkable man, and your are so right about the quotes, it is hard to choose one, I think they are all spot on. It’s unreal to think it was 200 years ago that he was born, but he will always be remembered. And when you think about all of the changes we have gone through in 200 years, it is even more remarkable that he is still so relevant. I guess that is what every author aspires to be. Very thought provoking, as usual. Great use of wise,wise words. Thank you. It’s just hard to choose which ones. I didn’t realize that today’s the actual birthday, but I did know that all this year there’ll be celebrations around the world. He was quite prolific. Add to your wonderful list, “Little Dorrit.” I love that one. I haven’t read ‘Little Dorrit’ but will since you love that one. What an interesting post! I loved how you wove the perfect quotes in amongst your observations … really enjoyable to read. And now I want to use words such as “piscatory” but I don’t fish! I know – you get these great words and then have no where to use them. But I bet you’ll find a place to sneak them in. Who doesn’t love Charles Dickens? Thank you for writing this and making us aware. When the girls were younger they performed in a youth performing group. One Saturday of December for several Decembers we found ourselves celebrating “Dickens on the Strand” in Galveston. One year, one of his descendants rode in the parade. Memorable times. “Dickens on the Strand” sounds like such fun. I’ll be looking for a full blog post on that one. I’ll put it on my December calendar. haha…it is a seasonal event. We have pictures galore of going there year after year! Thank you for the inspiration. Island Traveler wrote about it last December. I am shocked, Renee: If Dickens only lived till 58 (a fact that I had managed to blank till you drew it to my attention) imagine he’d lived till 92 with the same prolific output – we’d never get round to read much else than Dickens, would we? How old was Tolstoy when he put down his pen? Please don’t answer that. I don’t want to know. First I need to search for Proust’s lost time. I would have thought he was much older, but sadly no. As you say, imagine if he’d lived another twenty or thirty years. Wow! Thanks for reminding us of this great author! I wonder what he died of? I believe it was a stroke that he succumbed to. If anyone has more info on this, please share. Beloved then and now are few and far between…..I love the quotes you picked to highlight in your post! Thank you Bella. I tried to choose the ones most of us would remember. The poetic phrasing just grabs you doesn’t it! Yes Sheila, I totally agree. The older I get, the younger 58 seems. If he had lived longer I can only imagine the body of work. Wow. Renee to be honest, i was not aware about this great author. Thank you for dedicating this post to such a wonderful personality, so that we could come across him. Each quote is s beautiful & meaningful. You have written this beautifully. By the way, can you name me one of his writings? Looking forward to reading at least one of his books. I think you would enjoy his novels. If you have seen the Christmas movie “A Christmas Carol” then you have seen his work. All of the names in italics are works of his. Are you close to a public library? If you are then they can probably get a copy of some of his writings for you. Let me know how you like it. Thank you for stopping by and leaving a comment. I’m glad you enjoyed the post. He’s still relevant isn’t he? One can only imagine what he’d have to say about today. 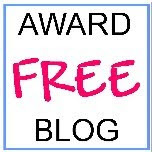 I finally found your blog! Thanks for the comment, I had the presence of mind to click the link this time. I love your writing style; and see you also did NaNoWriMo this past November. Thank you Patti. I enjoy yours as well. Yes, I took the NaNoWriMo challenge again this past year and actually finished rather successfully for the first time. Yeah! Have you been participating for a while? 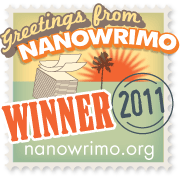 2011 was the first time for NaNoWriMo. I joined a writers group a couple years ago, and this past summer we were challenged to take part in it. Congrats on finishing! I still haven’t recovered from the time “lost!” It was a really great experience, though. Wow that sounds like fun Bella! I bet it really put you in the Christmas spirit. Wow, he was only 58? I didn’t know that. Such a descriptive writer. Laborious, but beautiful prose. Wouldn’t mind having that gift. Great piece, Renee! Dead at 58 yrs? What a shame. He left such a legacy. TImeless works which should be read more these days.